Everybody wants to save money when buying holiday gifts, right? Walmart is abandoning the one-day-only “Black Friday” sales and will offer its best deals over a five-day period beginning the last week of November this year? What other money-saving tips have you come across? 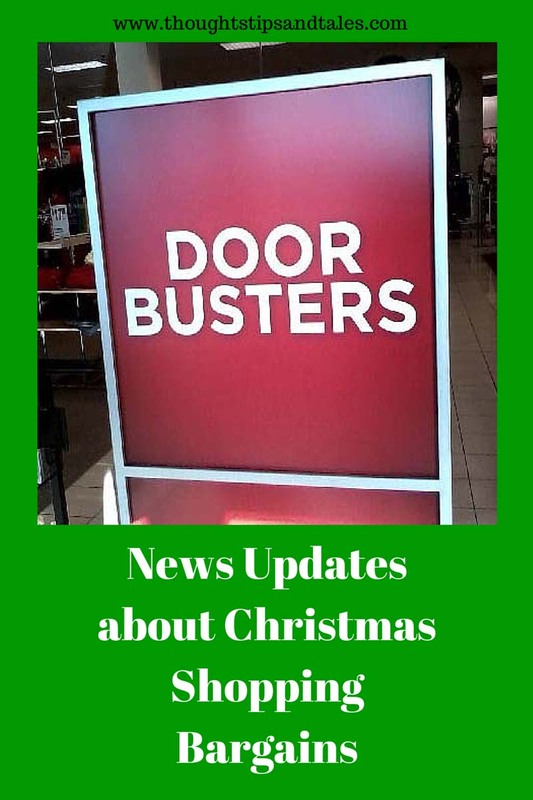 This entry was posted in bargains, Christmas, Target, thoughts tips and tales, Walmart and tagged bargains, Christmas, Christmas bargains, Target, thoughtstipsandtales, Walmart. Bookmark the permalink. Well that’s good about Walmart. Maybe it will stop some of the insanity and riots! I can never understand how people can risk their lives shopping in such madness! Thanks for the heads-up! I love your blog! I also love to shop on Black Friday! Last year, I found great deals at Macy’s and Belks. Where do you guys find the best deals? Belk always has great deals, and sometimes I find things at Sears, too.